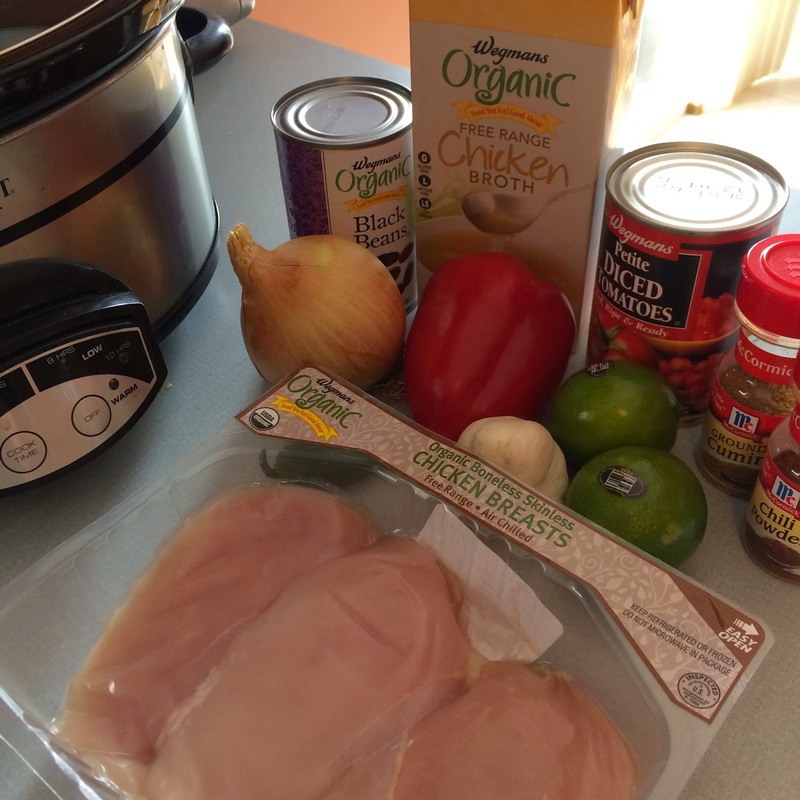 Who doesn't love a good crockpot meal?!? 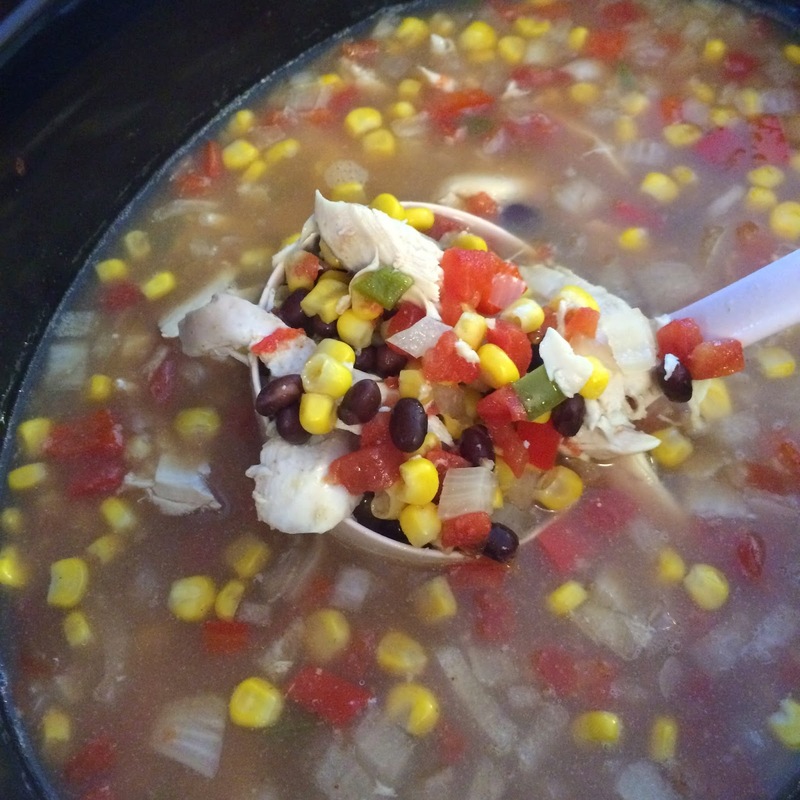 I know that the number one reason I love my crockpot is because my day goes a lot smoother knowing that I have dinner ready to go before my girls even wake up in the morning! 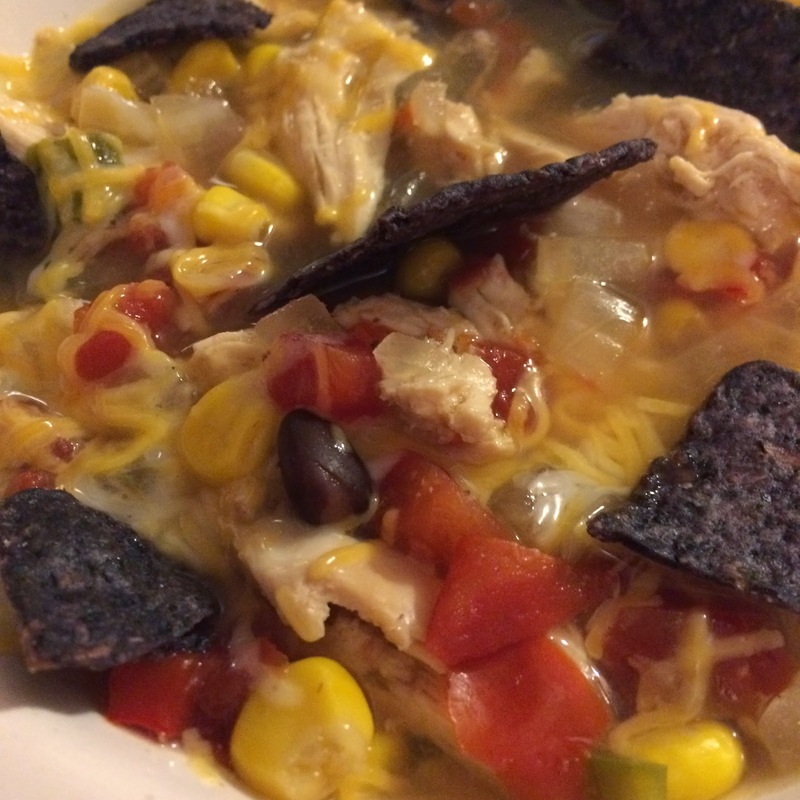 Last week the weather got a lot cooler in New Jersey and we are all battling colds, so I knew I wanted to create a really awesome soup! Chopping some veggies is really all you have to do because everything else gets thrown into the crockpot to simmer away for 8 hours while you enjoy your day! 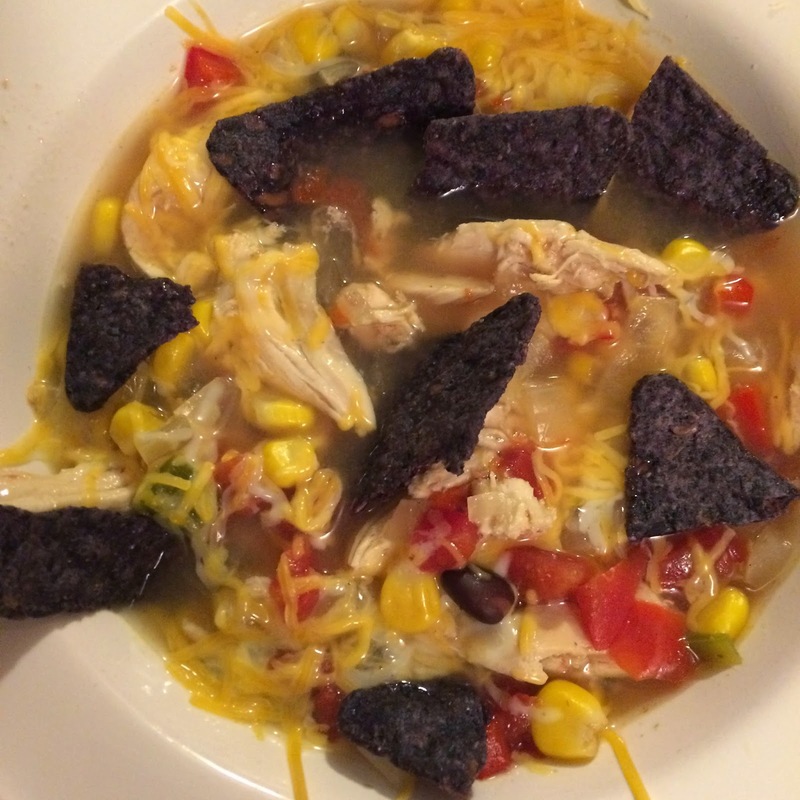 Garnish with tortilla chips, cheese, and other toppings! This look delish! I'm going to try this soon! Thanks for posting!